The ladies of the Degree of Honor will give a basket social at G.A.R. hall next Tuesday evening, January 29th. A short musical program will be given. A cordial invitation is extended to all. The Cottonwood Current is now entered upon its tenth year, a longer period of existence than most newspaper infants enjoy. It is evident that the Current has merited the appreciation of its subscribers. Mrs. J.H. Schneider entertained ladies last Saturday and Monday afternoons for her mother, Mrs. C.H. Whitney. 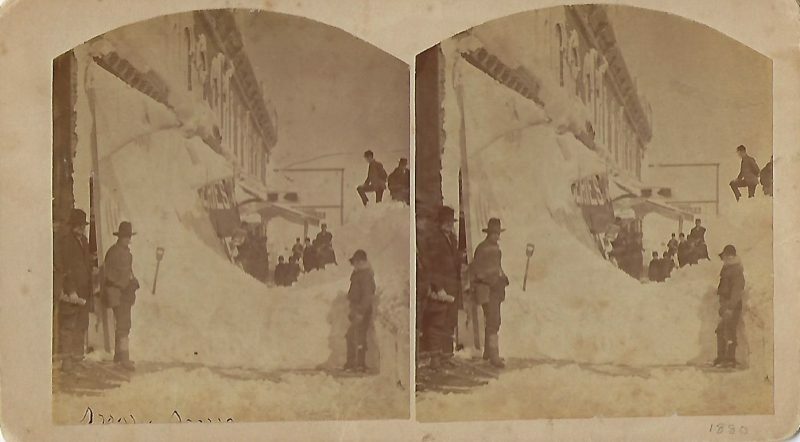 Mrs. Whitney, though once well acclimated to blizzards at 20 degrees below zero, has found the change from Tennessee to Minnesota at this time rather trying, and has not been feeling well for a couple of weeks, but is now enjoying a series of social affairs as the guest of honor. Porter Baker went to the twin cities last Saturday with a carload of driving horses from the Baker farm. There will be two applications for billiard and pool table licenses before the next meeting of the village council. Arthur Drew will apply, and Whiting & Patterson have bought out Boyd Champlin’s business and will make application. It is possible that the council will raise the license fee from $25 a table. The most important social event of the season so far, and probably the most pretentious of the winter, was the concert, ball, and banquet given by the Marshall Woodmen last Friday evening. The affair was a splendid success, both socially and financially, everyone enjoying the evening’s pleasures, and the order netting a snug sum of more than $100. Cosgrove’s orchestra gave a very enjoyable concert in the forepart of the evening and later furnished music for dancing in Chittenden’s hall. 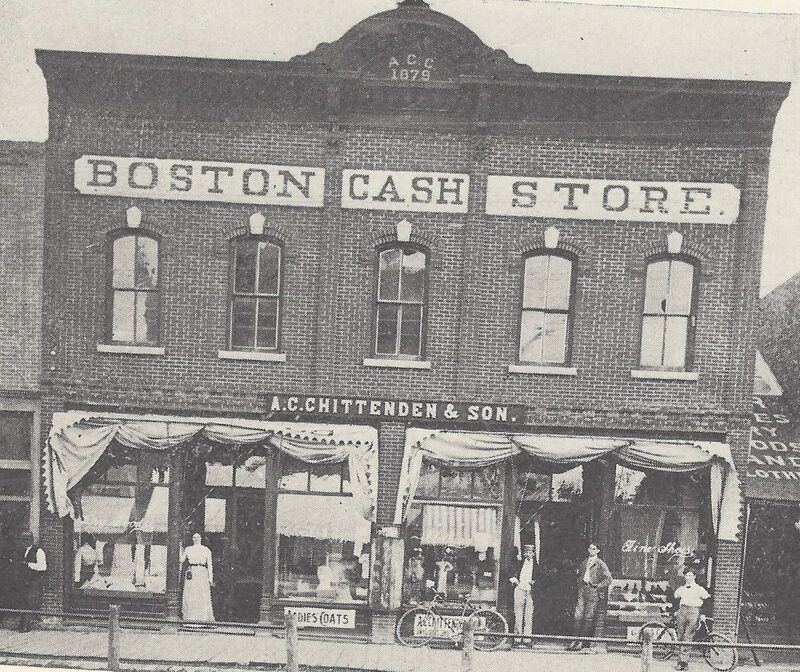 The photograph featured this week is the Boston Cash Store with Chittenden’s hall, also known as the Marshall Opera House, on the second floor (237 W. Main St.). Lyon County Historical Society is a non-profit, member-supported organization. For more information on membership, research, volunteering, or the museum’s collection, please contact us at 537-6580 or director@lyoncomuseum.org. Like our page and follow us on Facebook.